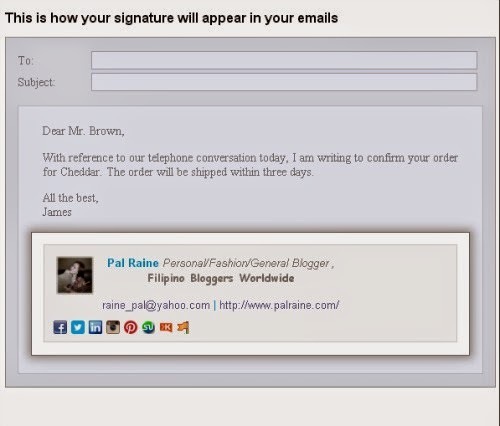 Do you need a professional looking signature in your Email? 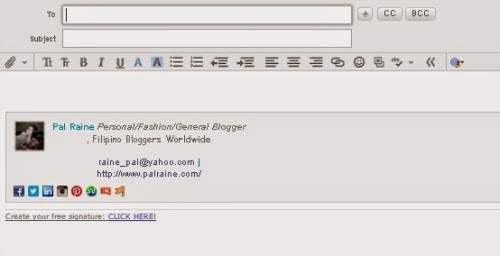 Does your company use Google Mail, Yahoo, etc...WiseStamp for PERSONAL and BUSINESS use is here to give you nice and cool designs for FREE! WiseStamp Email Application is to enable you to bring professionalism and functionality to every mail you send. 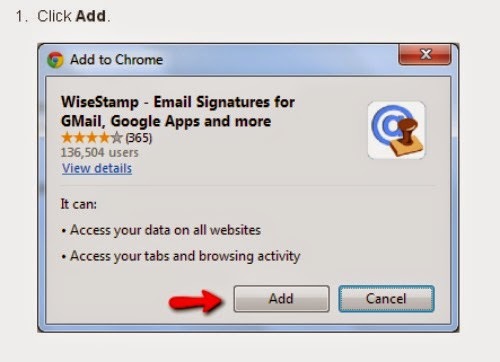 Just install a WiseStamp Apps in Chrome for FREE. Yes, its application is free to use if your using Google Chrome browser. 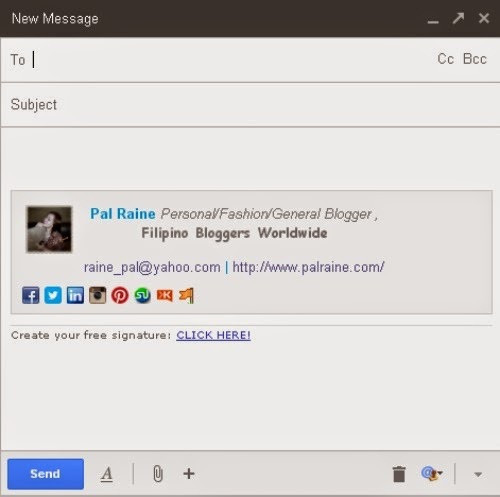 After downloading and installing the apps, you can now start customizing your Email signatures! Put the URL links of the indicated Social Icons you have chosen at the right side corner. Edit all the things needed and click PREVIEW SIGNATURE to see what will be the outcome of your EMAIL. You can either download a new image for your profile or just simply connect your FACEBOOK or TWITTER Account. Then every time you edit your profile always click SAVE, to see the exact appearance of your PREVIEW. Then if you're satisfied with the appearance click SAVE and EXIT. Now your DONE. It will just automatically added to your Email Account, no hassle pasting HTML or CODE. 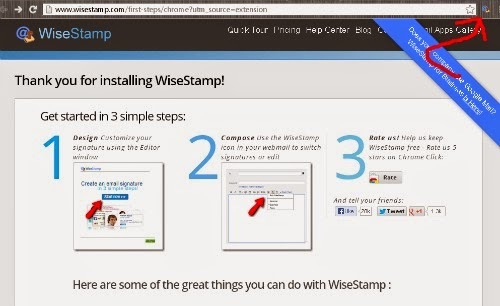 WiseStamp also accept AFFILIATES to HELP PROMOTE an email tool that everyone will surely love! HOW? 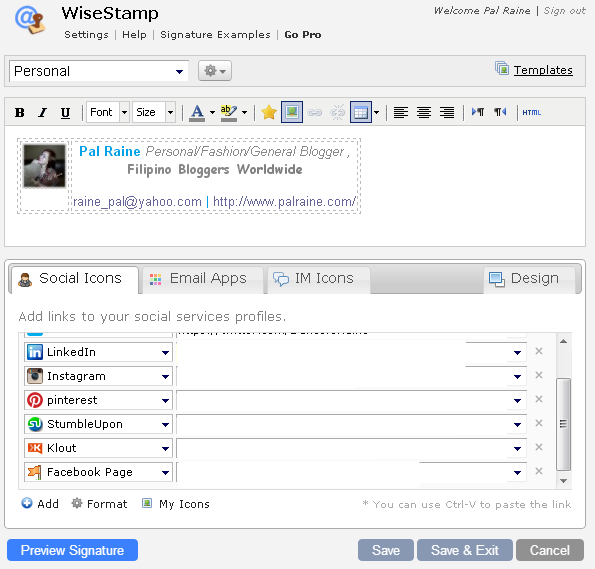 By sharing WiseStamp Email Apps with your readers, users and friends.